I am starting a new series called Fringe Fetishes. These are going to be things that are even on the outside of the many crazy fetishes I know about. These are going to mostly be things that I have no clue how you would find someone else into them. Remember though, these people are not freaks. They are just into some of the more unusual things. So embrace the kink culture and the diversity within it. If you run across any other Fringe Fetishes, shoot me an email. I’m going to begin this series with a Craigs List ad that @myriadian on Twitter came across. any balloon fetish guy on the area? 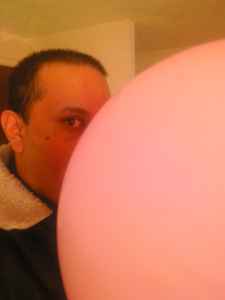 here latino with balloon fetish ,looking for similar,we can make a group in dc area contact me with your pics and experience with balloons,we can meet to blow up big balloons together and more.